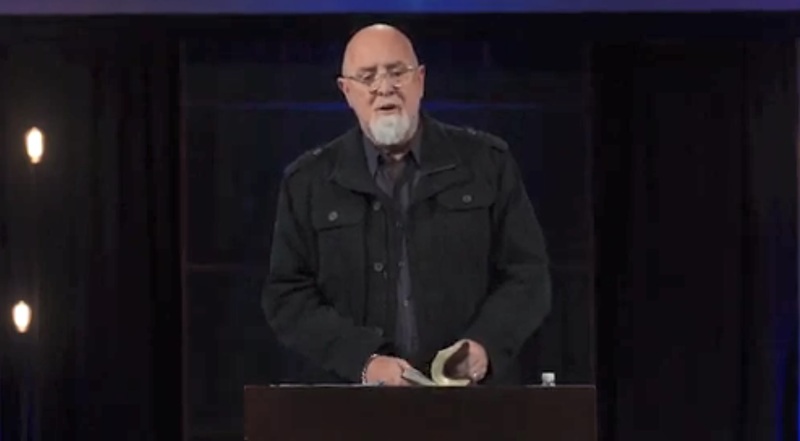 Many have asked me to release videos I have of James MacDonald berating students at Harvest Christian Academy (HCA) during his ill-fated and short-lived time as a guest Bible teacher there in January and February of 2017. I have been reluctant to do so, not because I’m trying to protect MacDonald, but because I do not have video of the incident described in my WORLD exposé of Harvest, which several people have told me was the most shocking. And I didn’t want to give the impression that the videos I have represent the worst of MacDonald’s behavior when the truth is, they may be tame in comparison. I think Harvest parents, church members, and anyone who’s supported the ministry of Harvest Bible Chapel or MacDonald’s broadcast ministry, Walk in the Word, have a right to see what’s depicted in the videos below. Also, it’s notable that Talbott Behnken, HCA superintendent now and at the time of these incidents, also serves on Harvest’s new Church Leadership Team. Also serving on that team is Todd Rukes, who received videographer Luke Helmer’s stunning resignation letter. But again, the videos below do not represent the worst incident. The video of the worst incident reportedly has been erased, but there are several descriptions of it. In 2017, videographer Luke Helmer resigned from Harvest one day after witnessing MacDonald teach a Bible class to a roomful of teenage students at Harvest Christian Academy. Citing what he called MacDonald’s “pattern of uncontrolled anger,” Helmer in his Feb. 16, 2017, resignation letter (posted below) said MacDonald had singled out two students, “berated them for minutes in front of the entire high school student body, mocked them, called them ‘morons,’ ‘fools,’ ‘stupid,’ and he threatened one of them physically.” The incident also upset several parents who later heard about it. Asked about the incident, MacDonald told WORLD he had been responding to a student who yelled something “very coarse and troubling” aloud in class. “I for sure was too intense and did locate the student and did move them up to the front and did let them know what I thought of the behavior. … At the end of class, though, I did feel grieved in my heart that it was too intense.” MacDonald said he apologized to the student and his classmate the same day, recorded an apology video shown to the class, and talked to the offended parents. Some of us have children who came home from school in February of 2017 shocked and saddened by one of the worst outbursts of anger they’d ever witnessed–a berating by James of two students in front of the entire high school. Several students were in tears watching it, a student described spit hitting her in the front row. There was a videotaped apology, and a year later, an in-person apology. But the public promise by James to teach the class for the semester was never kept, the schedule that had been completely upended to accommodate his teaching never fixed, and an apology for breaking that promise was never given. To be fair, a few elders and staff have told me they did not believe the incident was a big deal, that their children did not report it as a problem. And one of the top leaders of the church told me he wishes James wouldn’t have apologized for the incident at all. However, that same person had the video of the incident erased immediately, ensuring those not in the classroom that day would never see it. Below are two videos, which were sent to me from an anonymous source. They appear to be videos of a video playing on a computer monitor. It’s my understanding that all the videos below were at one time posted online at Harvest’s Vimeo site. In the second clip from February 8, 2017, MacDonald mocks a student in the front row because he failed to bring his book, notebook, and pen to class. He also disparages a neighboring school. “Thank you,” the student responds. “Thanks Pastor James,” the boy says. “Nice. I’m even giving you your lines now. Wow!” MacDonald says. MacDonald also insults a nearby private school, Westminster Christian School, which HCA had apparently crushed in a girls’ basketball game the night before class. Every organization, including churches, has its own distinct culture and values. Leaders usually are selected and promoted according to how they fit into the culture and values of the organization. When the most influential leaders move on for whatever reason, sometimes there is a culture shift. I don’t think Harvest Hard Edge was ever explicitly taught. James always has been the face of Harvest Bible Chapel and associated ministries, as he is such a dominant and ambitious person. Many churches such as Harvest are high control groups, and emphasis the authority of the church leaders and tend to take a highly confrontational approach to ministry. Some people seem to respond well to being told what to do about so many things. However, it gets ugly if those church leaders are not only authoritarian, but abusive as well. Other churches intentionally try to maintain a soft edge, believing that they are trusting more in the Spirit by taking this approach. If done well, the leaders teach and disciple with patience and good Bible teaching, and the Spirit does the work. If not done well, there is inadequate spiritual direction, and many people think that the church is not being relevant to their most important concerns. Notice that there is a proper role for confrontation in ministry, and not all churches are willing to provide that. Different people respond to different approaches to ministry. Everything works best if the leaders have the spiritual maturity that the Bible requires of such leaders. I agree .. Please share more about the “Harvest Hard Edge”. My greatest concern is, as John M mentioned, that this type of hard leadership, lack of transparency, and a feeling of superiority will indeed be found in Great Commission Collective churches. We have personally experienced some of the same things ourselves in a (now) GCC church. How do you spell the throw up sound? Does God the Father really want you/us to have any name when there is only one Name that is higher than any name that we claim to be one with? Industrial complex world systems need names….. we only need HIM. Michele, sorry you are experiencing it too at your GCC church.Hopefully we will hear more from Joe. No doubt about it, when James taught those kids to “never let anyone to shake your spiritual confidence” and then underscored that by modeling physical intimidation there must be something more about “Harvest Hard Edge.” I’d really like to see the Harvest Bible Fellowship notes or training materials about conflict, finances, executive committee governance, etc. just to see how far this cancer spread. I always knew that this imposter pastor had control issues whenever he made the whole congregation parrot a word back to him, which was often. The thing that I notice is that while he was picking on a kid he did it with a smile on his face. Someone who is supposed to be a grown man castigating and berating someone who is about 45 years younger than him… It takes a real man to do something like that. All I can say is that Jim is lucky that this wasn’t my kid. I so agree. Years ago I attended a tough school. The toughest teachers who had the most control and influence over the students, always respected their dignity. And they never assaulted them. There are so many things wrong. The entire leadership needs to go. Cut all the cancer out (yes all of it) or it is coming back. elders, staff, campus pastors etc… They witnessed this and did nothing. I always thought it was weird when someone corrects what version of name they are addressed! I’m called Ken, Kenneth or Kenny and have never ever told anyone which name I prefer! LOL Are you 5 years old demanding to be called, James? We shouldnt get angry at JMac for assaulting the student. His ego was tremendously bruised when someone showed disdain for his speech (not preaching or teaching since he didn’t believe or live that message). He is a true legend in his own mind and surprise that someone would be so bold and bored to fall asleep. Let us pity the man. Wow. Just when you think you’ve heard it all about James MacDonald another story pops up. It seems as though this “Christian celebrity” pretty much did as he pleased to whomever, whenever, where ever. All the while church members, leadership, and others towed the line and looked the other way. What Christ-likeness did people see in this man? I don’t see any. I see someone who behaved like the literal devil. The way he physically handled the young man in the first video is abusive. He should have been reported to authorities for that. I get tough love but all I saw was the tough. You could tell he was extremely angry by the way he grabbed that young man. He got that angry because someone slouched in class? Jesus was a teacher. Peter was a handful, I’ve read. I can’t imagine Jesus snatching Peter by the collar that way. I don’t want to engage in victim blaming. However, church members and leadership who continue to endorse and follow false teaches like James McDonald need to accept some accountability. Jesus was God and walked in total humility, gentleness, kindness, and love. If your pastor isn’t walking that way then you know that person is not of God. Pastors aren’t perfect people but they are called to a higher standard than the rest of us because they represent God. I truly hope that if MacDonald does start a new church people wake up and do not attend. While in Chicago for a weekend hockey tournament a couple years back, I stopped at Harvest for a Sunday service. Wowza, great show. Afterwards, a regular greeted me and inquired about my church background. He was dubious about my faith because I was not a Harvest kind of guy. I left with the disturbing impression that I had visited a large scale cult. These videos confirm that impression. Belittling others in public and holding people up for humiliation reveals a warped, abusive personality — hardly fruit of the spirit stuff. You know what’s heartbreaking? Some of these kids will quietly walk away from their faith. And who could blame them? heartbreaking doesn’t begin to express the sadness. So very sorry for your sadness. Hopefully, exposing all of this to the sunlight will serve to disinfect things and bring healing to your dear family. He has done a lot of good and I think he needs a rest. He is a good guy.He is welcome in my home any time.Political correctness and big mouths go away. Really? You call this bullying? No, it’s having respect for your teachers and your elders. Nothing wrong with what he did. Looks like your mission was to take him down. Oh Paula… you are looking deceived again, time to wake up! He and the system he had a hand in creating took him “down” ……. down down down where there is weeping and gnashing of teeth and torment forever. I am so surprised you did not know this. Good grief…just stop. I think the bullying is happening to the people who have differing thoughts and opinions on this blog. I’m a teacher and it is truly horrific how disrespectful children are let alone teens in this nation. Let it rest with Pastor McDonald. And you need to stop calling this person a “pastor” he is not and never was ,he is a hireling that cares not for the sheep, please read your bible and see the those are the very words of the only true,great Shepherd Jesus Christ of Nazareth.Did McDonald ever take even $1.00 in restitution, never mind MILLIONS? Why yes he did…. therefore HE IS A HIRELING and a HIRELING what? That’s right…… CARES NOT FOR THE SHEEP and furthermore that person is certainly not “a workman worthy his hire” he was and is a DECEIVER that satan has used to deceive thousands and tens of thousands including yourself. Some of the FRUIT of that is and I quote ” it is truly horrific how disrespectful children are let alone teens in this nation.” Wanna know why? Cause they were being deceived at the same time. Time to WAKE UP!!! It is sad. That the many cult members like William and Paula and others will always welcome that snake James MacDonald into their homes with loving arms. That can’t be helped. MacDonald will always find new sheep to run the con game. MacDonald is a grifter through and through. I am just still pissed cuz he duped me out of thousands so that he could go on his safaris on my dime. I feel like a fool. Never again. No how is a church getting my money. But not anymore. Today’s “not MY child!” parents are ready to defend anything their child does, buck up against teachers, then wonder why we have entitled disrespectful teens running around and good teachers quitting left and right. I have MAJOR issues with Pastor James and Harvest leaders and am prayerful it is being handled. I do want to let Harvest heal be so they can heal and try to turn it around before bankruptcy isn’t inevitable. But this isn’t one of them. I wish more teachers called student out on the spot. A little embarrassment does not kill you – and can be a good teacher. I sense a lot of frustration in these comments which probably is indicative of the age in which we are living. It is true that there is a widespread problem today with disrespect for authority but it is also true that some people abuse their authority. It is one thing to tell a kid that he should bring his book or whatever and quite another thing to go out of one’s way to humiliate the kid as if he had done some unspeakable crime. Don’t think that kids can’t tell the difference and don’t think that kids can’t be harmed spiritually and psychologically (even as witnesses let alone as direct victims) by those in authority who choose to act in a “look at me, I’m so powerful and cool” way rather than in a way that honors Jesus Christ. If all James McDonald ever did wrong was just what we see on these videos, then ,yes I would agree not that big of a deal….but unfortunately that’s not the case…and David is right James McDonald is a hirleling….He has USED THE FLOCK to line his pockets, He also has paid his Henchmen Huge salaries to keep them in line and has single handedly corrupted many otherwise good people, he has given everyone in his family cushy High paying positions in his so called church, he has been extremely abusive to MANY people in and out of the church and some of those people are good friends of mine…He deliberately and publicly tried to sue Other Christians for telling the truth about him and his corrupt ways, even though The Bible strictly forbids this…..and when he found out about disclosure laws that would surely expose him even more, he quickly dropped the lawsuit and wrote an ambiguous ” I’m sorry letter” and has not been heard from since…so that’s why these videos seem so bad to many people, it just one more thing that exposes McDonalds true Character as a self serving unbiblical money grubbing Bully….that just my opinion.